Lots of good questions....but wondering if we had injuries or what.....or maybe coaches just wrote off the running game. l Seems that about half (or more) of our "runs" were attempts at sweeps ….with only a handful of runs between the tackles…..made a first down on one and scored a TD on one of them ...but not many more. I found this interesting as well (concerning the two passes with 2 yds to go). When Malik was in the game for 1 play, their defense was lost. Why not revisit this? I’ll help. Don’t use common sense when trying to figure out our play calling. It only leads to anger followed by relatively large amounts of alcohol. Boobie is barley 85% but damn we should have played Asa a little. Oh well..... into Athens we go. Qb draw or scramble would have extended the drive. But it would have changed the whole outcome so I’m glad we just tanked in hindsight. We do need to go to a pass first philosophy for the foreseeable future. What the worst that could happen? A 3 and out? What's another 3 and out to Gus's O? I think Gus had a secret handshake agreement with Phil Fulmer that we would let them win an SEC game so their fans would start believing in UT again. Its the only scenario behind that loss that makes any sense. Not sure if that eases the pain or worsens it. Nothing eases the pain when you lose to this era's UT. 6th time this season we haven’t had a 100 yard rusher. Not doing the sunshine pumping thing but maybe since no championship in sight for this year why not continue to try to run the ball so the OL will get better at it. As bad as the offense has been the players hearts and coaching close has had the team in position to win every game. Only exception is was MSU late in the game and we failed at so many big plays in that game other then getting gashed by the run we probably win that game if we hit 2 of the big plays that were easy. Now I would the next 3 games use tempo. Just go fast. Regardless of alignment just run the play but go fast every play every possession. We are going to be big underdogs in 2 of the 3 so don’t get away from your offense but try tempo. I agree try Malik a possession each half if we aren’t moving it consistently. See what happens. When he comes in the defense will probably go to zone so run some zone beater pass plays. LSU was also playing the #1 team in the country. If 19 yards rushing is all we can muster against the #25 ranked team in the country today, I hate to think about what we may be facing against the #1 ranked team when we play them. aTm had the top ranked rush defense in the SEC coming into this game. They left the same way. 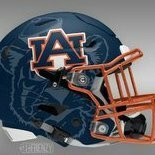 Having two guys who should be rushing dynamos in Gatewood and Willis not get any situational touches is a good summary of Gus's creativity with his specialty. The rushing offense was better in 2016, but it could've been great if they occasionally threw JF3 out there to not just hand it off and look cool, but keep it (or by god, actually read the defense via a real read option). How stupid does Gus thinks his QBs are to where they cant throw and cant be allowed to make the read themselves?? ?